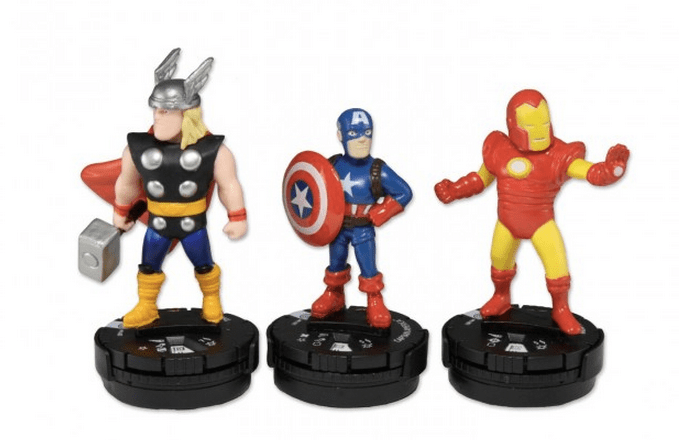 Marvel HeroClix TabApp Review And Giveaway! The new HeroClix TabApp game combines traditional HeroClix tabletop game figures with the HeroClix TapApp that brings them to life on iPad versions two and up. 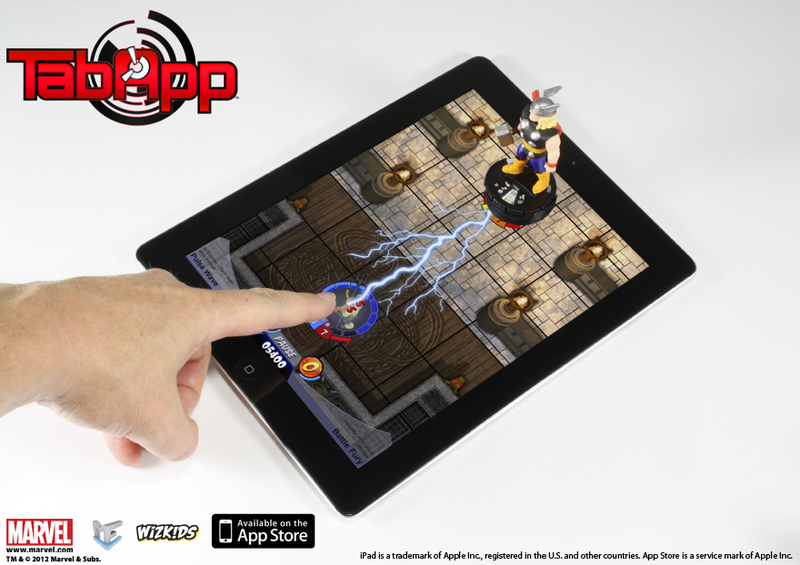 You download the app for free from the app store and then purchase the special HeroClix TabApp figures to create this interactive, solo-play game. There are two different sets of Marvel Heroes HeroClix TabApp figures. You can get an X-Men pack with Cylcops, Wolverine and Iceman or an Avengers pack with Captain America, Thor, and Iron Man. Each of these figures has contact points at the bottom that tell the app which character you’re playing and start that character’s adventure. The storylines are character specific so if you put Thor on the iPad then you’ll see his story and be able to use his special attacks, like lightning. There are also cut scenes between each level that bring the story even more vividly to life. In addition to using these two sets of characters with the HeroClix TapApp game, they are also fully compatible with the regular tabletop version of HeroClix. 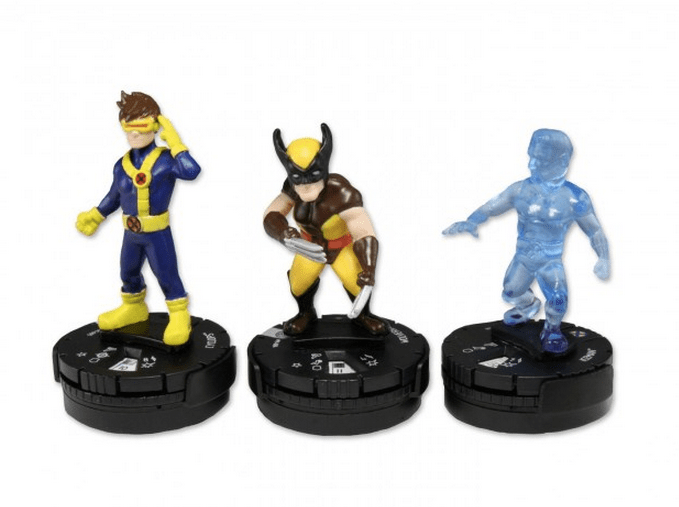 Each character features the traditional HeroClix dial and comes with his own character card. The app is geared toward younger kids, although it says eight and up. The group of kids I had playtesting this in my living room ranged from six to 10 years old and the six-year-old ended up liking it more than the older kids. She was more engaged and entertained by the simple game play, where the bigger kids found it a bit too easy. The older kids still loved the figures, though, and they were thrilled to learn that there was more than just the app and that they could play the tabletop version of the game with the same figures. This game does exactly what it was designed to do by bridging the gap between younger and older players. If you’re looking to check this game out, you can download the app for free and purchase the X-Men Pack and Avengers Pack for $14.99 each … or you can be one of three lucky readers to win both packs from GeekMom! All you have to do to enter is leave a comment below telling us which of the new TabApp characters is your favorite and you’re entered. The giveaway is open to shipping addresses in the Continental United States only and closes on Saturday, October 20th at midnight EST. Good luck!